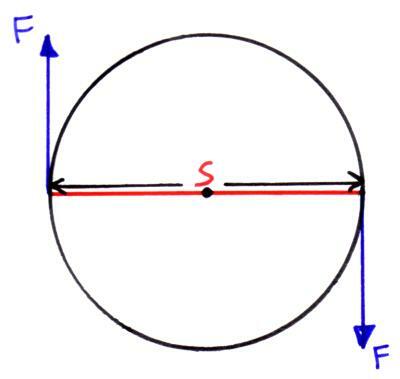 The moment (or torque) of a force about a turning point is the force multiplied by the perpendicular distance to the force from the turning point. Moments are measured in newton metres (Nm). 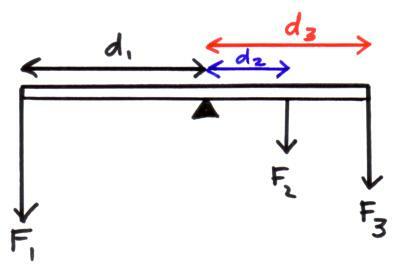 Example; A 10N force acts at a perpendicular distance of 0.50m from the turning point. What is the moment of the force? A couple is two equal forces which act in opposite directs on an object but not through the same point so they produce a turning effect. 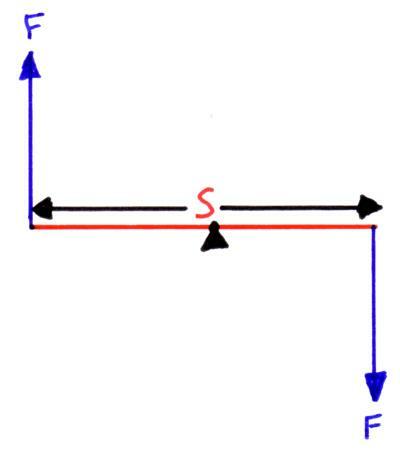 The moment (or torque) of a couple is calculated by multiplying the size of one of the force (F) by the perpendicular distance between the two forces (s). 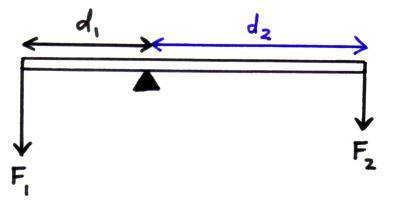 Link to centre of mass.